Right now I’m driving a 2007 Ford Explorer, but I’m in the market for a new SUV. I’d like to stick with a bigger car, as I’ve got two children and we travel often, so the additional space is needed. 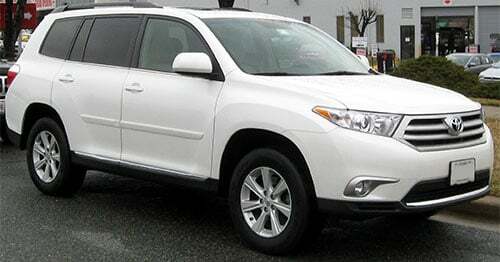 On my quest for a new car, I decided to test drive the Toyota 4Runner and the Toyota Highlander. 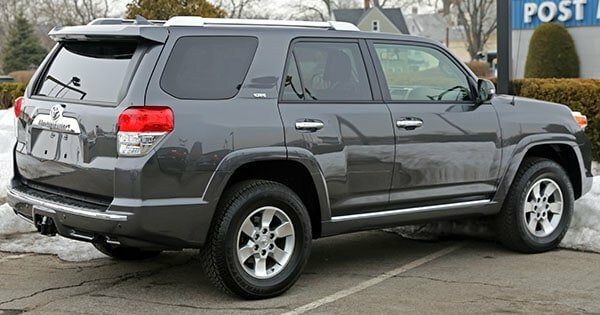 I decided on the 4Runner and the Highlander because the fact that the 4Runner resembles and drives like a truck, while the Highlander is more like a car, will give me a true SUV comparison. While I was test-driving my two SUV options, I ran into quite a few surprising situations. Somehow, I always seem to get stuck with the newbie sales representatives, who just can’t seem to lead me to the car of my dreams. Perhaps they’re not as experienced at listening to consumer needs, or they’re aiming to buffer their bottom line, or I appear like the type who is only considering used cars, but I would like to be presented with the new cars and not just the used cars. I’m willing to pay for a new car to get what I want. I was also surprised by the way I was presented financing options. As with almost anyone in the car market, what’s important to me is getting a good financing rate. I want to make sure I can pay off my car loans as quick as possible. While I was at the Toyota dealership, they presented monthly payments off of an 8% finance rate, so the guy must have thought we had really bad credit. I was shocked to learn that 8% is actually the average. I liked that the Highlander was a smoother and easier drive than the 4Runner. While I definitely enjoyed the ride in the Highlander, it reminded me of a minivan, which is a car stereotype I’m not quite ready to assume yet. What I found is that I’m not sure if I want a SUV that’s this low to the ground. My favorite feature of the 4 Runner is that I was higher off the ground than when I was driving the Highlander, which is probably because I’ve been driving the Explorer for so long. Plus, we need a car to drive on the beach, which would definitely be the 4Runner with the higher clearance. The outcome of my test-driving is actually the opposite of what you might expect. I’ve decided to dial back on my SUV buying plan, which will give me more time without car payments and will give me more time to consider what I’d like. I’ve also decided that when I do go to buy a new car, I don’t think I’ll be going somewhere that promotes “no haggle pricing.” I get that this is supposed to make it easier for customers to shop, but I feel like they can do more on price elsewhere when negotiating is a possibility. The length of time to buy a new car is also breathtaking. Between the paperwork and negotiating, you’re looking at a half-a-day activity. Why exactly is that? Most dealerships seem to have enough staff, but not enough to make the process any faster? I’m excited to be putting car buying on the back-burner, as I’ve got other things I could be doing with that half a day.